The 'Roos are back for 2017! Year after year, the Perth Mint never fails to astound us with their artistry and innovation. The coins and proofs that come from the west coast of Australia are among the most lustrous and detailed in the world. That's why we were so impressed with the Silver Kangaroos that the Perth Mint produced in 2016. With the twin "firsts" of 99.99% pure silver content and unique authentication features, these Silver Kangaroos were sought out by collectors around the world. They were so popular, in fact, that these beautiful Kangaroos are back for 2017! The first thing you'll notice with these legal-tender 2017 Silver Kangaroos is the gorgeous line work along the rims on each side. That, along with the reverse's brilliant radial lines of sunlight that highlight the titular kangaroo, beautifully dramatized in mid-hop by designer Stuart Devlin. 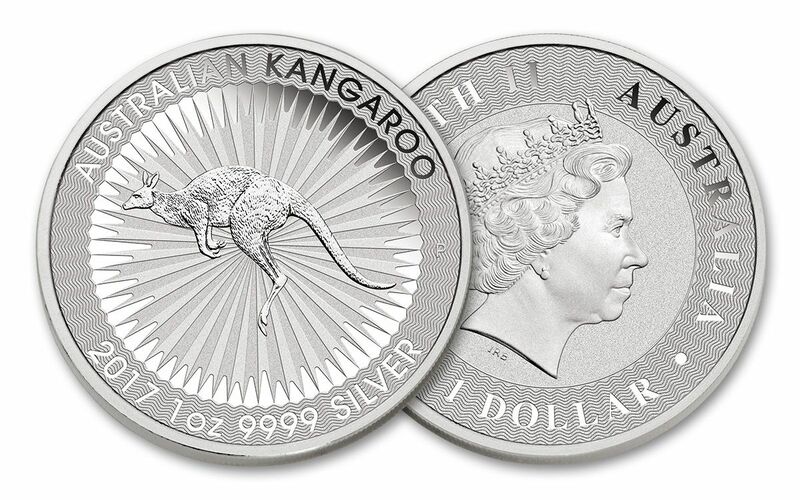 The kangaroo is wreathed by "AUSTRALIAN KANGAROO", "2016 1 oz. .9999 Silver" and the "P" mint mark. 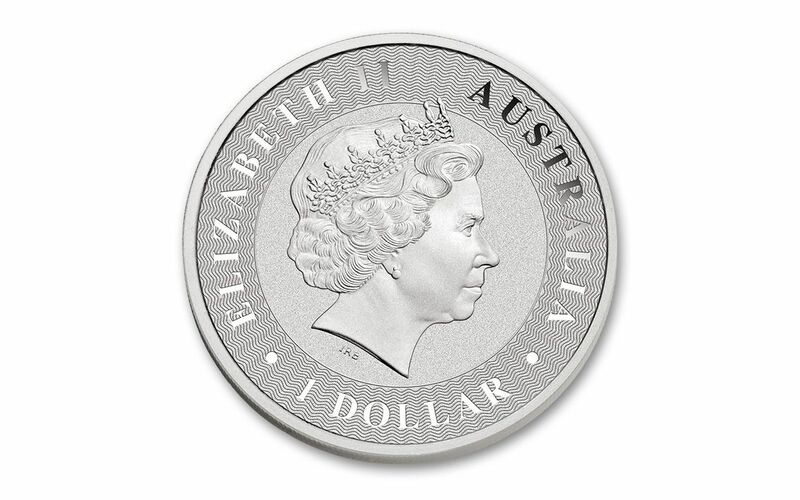 Flip the coin and you'll find the classic Ian Rank-Broadley effigy of Her Majesty Queen Elizabeth II, as well as "ELIZABETH II," "AUSTRALIA" and the denomination of "1 DOLLAR." As stunning as it looks on your screen, it's even more impressive when you see these designs shimmer in one ounce of "four nines" silver (that's 99.99% pure silver)! Look closely, and you'll also see the second grand feature of these Kangaroos. For the second year straight, a small micro-laser engraving inside the first "A" in "Australia" on the obverse provides an elegant yet secure way to know that your 2017 Kangaroo is, as some say, "fair dinkum! " Your 2017 Australian Silver Kangaroos will arrive to you in Brilliant Uncirculated (BU) condition exactly as they left the Perth Mint. While demand is sure to be tremendous, we have no way of knowing if supply will keep pace. 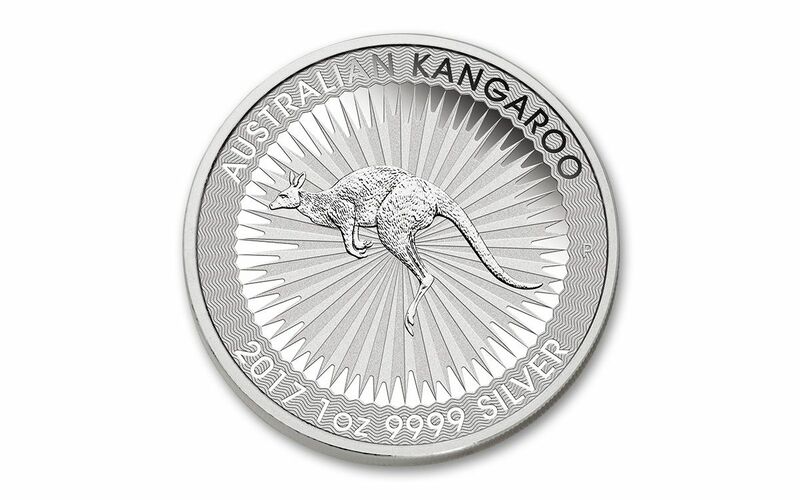 The only way to be sure is to order your 2017 Australian Silver Kangaroos today!